The season has returned for getting down on our hands and knees and working the soil. New, innocent seeds and seedlings need a helping hand if they are to grow to their full potential. The work is straight forward if you arm yourself with the right tools, nutrients, and plantlings. You plant them, feed them, water them, trim them, and harvest them. Whether they’re vegetables or flowers, trees or bushes, they all need a loving touch to help them flourish. I was late in getting my vegetable garden going this year because of our California rains. They went on and on and caused way too much growth of all kinds on our property (please note that I’m not complaining about the abundance of water). 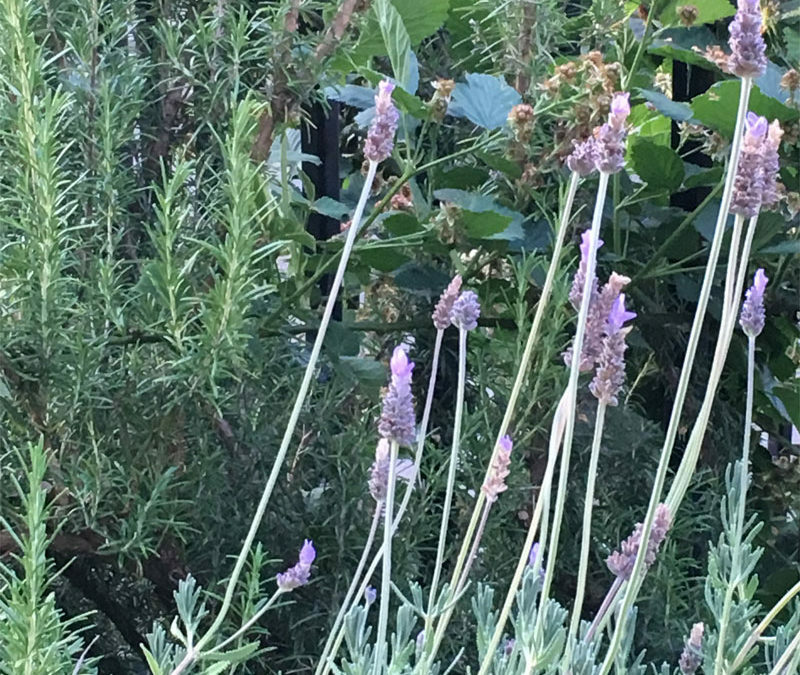 Just last week, I fought my way through a tangle of rosemary, blackberries, and lavender in an attempt to reshape the individual plants and clear space around the blackberries so I could clear their individual tangle and promote their healthy growth. The blackberries themselves were another weekend project. And of course, during the process, I had to repair broken irrigation drippers here and there. 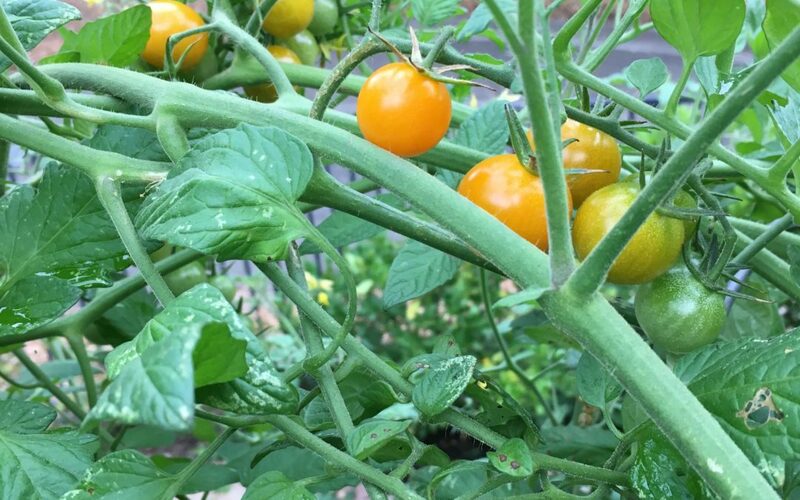 The veggie collection includes the usuals: 5 varieties of tomato, including some volunteers from last year, zucchini, yellow squash, pole beans, jalapenos, red bell peppers, cucumbers, carrots, red and yellow onions, beets, and red chard, and shallots from last season. 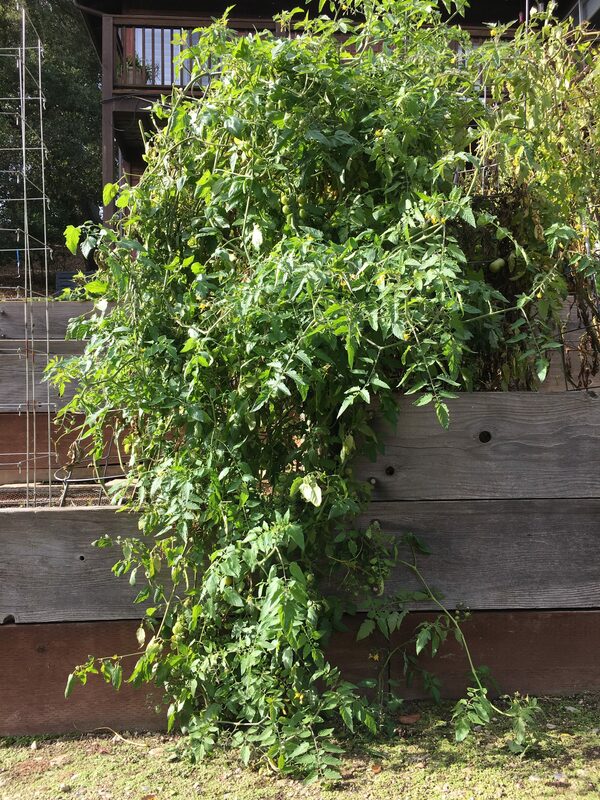 We’re trying our hand at watermelon and casaba melon this time around, and this year we’re fostering a cherry tomato plant for the first time. It’s strange to feel an obligation to another’s plant. The herbs include Italian basil, lemon and lime basils, oregano, Italian parsley, cilantro, lemon thyme, regular thyme, tarragon, and garlic chives. I’ll add more if something sounds interesting to me. Oh, and I got some late half-off seeds from the local nursery that is closing out, so I’ll throw sunflower seeds into the ground and add leeks, arugula, and peas later in the season. I’ve missed being in this garden. I’ve been spread so thin with varying responsibilities in recent times that it’s easy to forget the calm, soul-cleansing peace that is to be found in the garden. It’s a peace known in solitude, in nature’s noises, and in the miraculous motion that nature that carries on whether we’re observing it or not. You pull a weed, and a worm who is working the soil emerges. You trim herbs, and the bees and ladybugs that keep the plants healthy show their faces. You place a support under a towering gladiolus, and the hummingbirds zoom in to enjoy the nectar. If your mind is not in the current moment, such treasures pass you by. But if you focus on the activity and the noises, you become one with them, and outside thoughts lose their importance. So I’m going to concentrate on what I experience in the garden. I’m not going to miss the garden, especially if I’m actually standing in it.